(Pat Bagley | The Salt Lake Tribune) This Pat Bagley cartoon, titled “Friends With Emoluments,” appears in The Salt Lake Trib... (Pat Bagley | The Salt Lake Tribune) This Pat Bagley cartoon, titled “Proposition 2,” appears in The Salt Lake Tribune on Sun... (Pat Bagley | The Salt Lake Tribune) This Pat Bagley cartoon, titled “Campaign Cash Carpet Bombing,” appears in The Salt Lake... (Pat Bagley | The Salt Lake Tribune) This Pat Bagley cartoon, titled “Married to the Mob,” appears in The Salt Lake Tribune o... (Pat Bagley | The Salt Lake Tribune) This Pat Bagley cartoon, titled “Trump's BFFs,” appears in The Salt Lake Tribune on Wedn... This Pat Bagley cartoon, titled “Trump's BFFs,” appears in The Salt Lake Tribune on Tuesday, Oct. 16, 2018. This Pat Bagley cartoon appears in The Salt Lake Tribune on Sunday, Oct. 14, 2018. This Pat Bagley cartoon appears in The Salt Lake Tribune on Friday, Oct. 12, 2018. This Pat Bagley cartoon appears in The Salt Lake Tribune on Sunday, Sept. 7, 2018 This Pat Bagley cartoon appears in The Salt Lake Tribune on Wednesday, Oct. 3, 2018. This Pat Bagley cartoon, A New Trail of Tears, appears in The Salt Lake Tribune on Tuesday, Oct. 2, 2018. (Pat Bagley | The Salt Lake Tribune) This Pat Bagley cartoon, titled “Friends With Emoluments,” appears in The Salt Lake Tribune on Tuesday, Oct. 23, 2018. 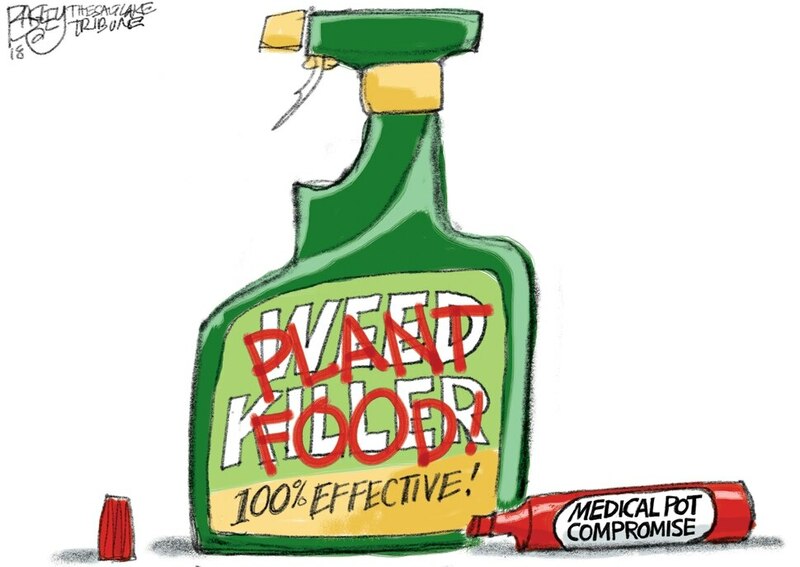 (Pat Bagley | The Salt Lake Tribune) This Pat Bagley cartoon, titled “Proposition 2,” appears in The Salt Lake Tribune on Sunday, Oct. 21, 2018. 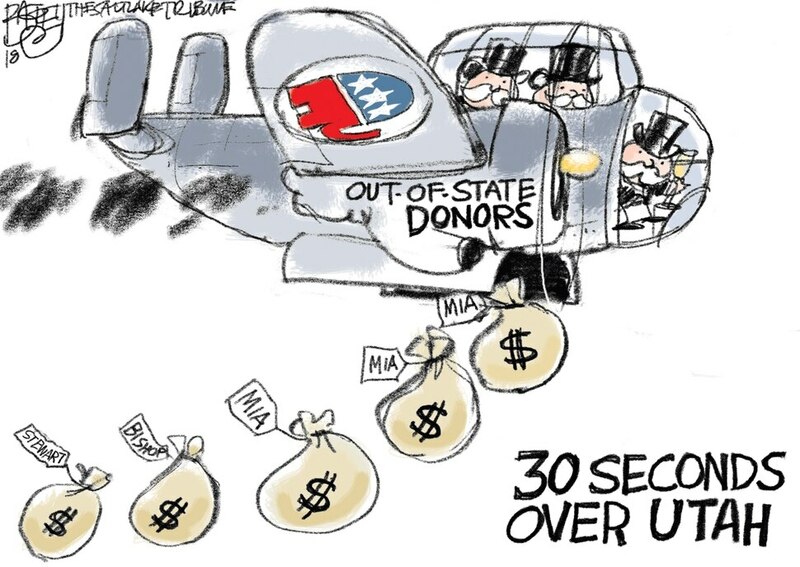 (Pat Bagley | The Salt Lake Tribune) This Pat Bagley cartoon, titled “Campaign Cash Carpet Bombing,” appears in The Salt Lake Tribune on Friday, Oct. 19, 2018. 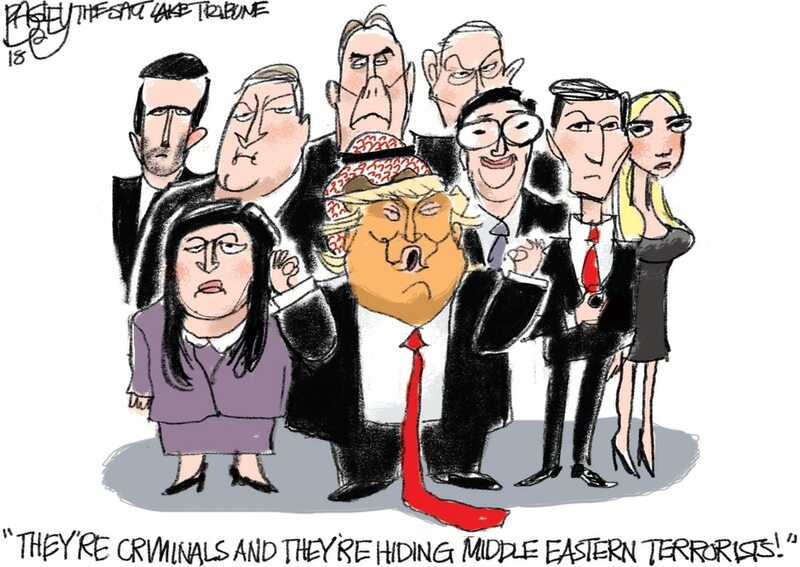 (Pat Bagley | The Salt Lake Tribune) This Pat Bagley cartoon, titled “Married to the Mob,” appears in The Salt Lake Tribune on Thursday, Oct. 18, 2018. (Pat Bagley | The Salt Lake Tribune) This Pat Bagley cartoon, titled “Trump's BFFs,” appears in The Salt Lake Tribune on Wednesday, Oct. 17, 2018. This Pat Bagley cartoon, titled “Trump's BFFs,” appears in The Salt Lake Tribune on Tuesday, Oct. 16, 2018. This Pat Bagley cartoon appears in The Salt Lake Tribune on Sunday, Oct. 14, 2018. This Pat Bagley cartoon appears in The Salt Lake Tribune on Friday, Oct. 12, 2018. This Pat Bagley cartoon appears in The Salt Lake Tribune on Sunday, Sept. 7, 2018 This Pat Bagley cartoon appears in The Salt Lake Tribune on Wednesday, Oct. 3, 2018. This Pat Bagley cartoon, A New Trail of Tears, appears in The Salt Lake Tribune on Tuesday, Oct. 2, 2018.